ABC’s Shark Tank does it again! This will be the third product that I have purchased from Shark Tank. If you take a lot of photos on your smart phone, Groovebook is for you. Groovebook lets you select 100 of your photos, which will be sent to your door for only $2.99/month. The photos are bound in a book and each photo is perforated. The pictures are also printed with the date and location the photo was taken. When I was growing up, my parents had tons of photos of their youth in albums and my grandmother had all of her black and whites in an album on the coffee table. Now I too can still have physical photos that I can keep forever. Why is Groove Book awesome? Groovebook solves the problem of my phone constantly being full, forcing me to delete photos. It also gives me my photos to look back on 20-30 years from now. I haven’t received my first Groovebook yet, but I’ll update this post when I do. You can only submit 100 photos at a time, which have to be from your mobile device. After you download the Groovebook app and create an account, you start selecting the photos you’d like. It’s super easy. According to the couple who started the company, the cost ($2.99/month) is low because they have their own print shop and the groove in the book makes it bendable and able to ship via USPS. I can’t remember the last time I had photos developed, let alone printed out a photo, now this makes it easy. I’m also very excited to get another item in the mail each month. If you missed Shark Tank, check out the segment below. 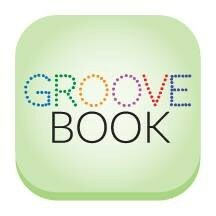 What do you think about Groovebook? My fiance wasn’t too keen on having extra photos around, but when she found out they were bound, she warned up to the idea. I’ll update you on her thoughts too once it gets in. 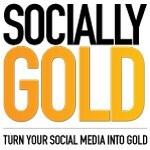 Want a free Groove Book to start?